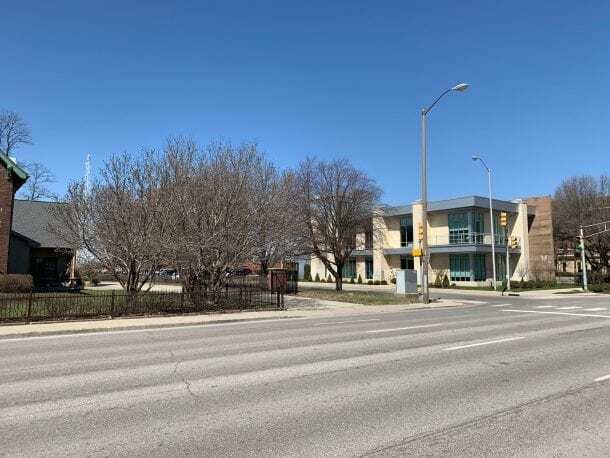 If you’ve ever driven from Meridian to Delaware Street on 10th, you may have noticed how it doesn’t flow like other streets; it’s disjointed. At Delaware, there is a small jog north before 10th Street continues to Alabama Street, though it is a one-way westbound. Every time you turn west from Delaware at 10th or turn north onto Delaware from 10th, you are driving over the grave of this house. Delaware and Pennsylvania did not connect there until 1984. But let’s back up a few decades. It is unclear who designed the expansive home, with its four towers and fish scale shingled roof, but the name of Cox’s son was found in the basement by the furnace with the word “engineer,” under it. Mr. Cox reportedly spent five years selecting all the white walnut for the interior woodwork of the house. Being in the lumber industry, his belabored discernment seems reasonable. You can only imagine how ornamental the furnishings must have been. Cox was not in the best of health after falling from his buggy in the spring of 1875. That, coupled with the gold rush of the west, compelled him to head for Colorado before the decade was out. 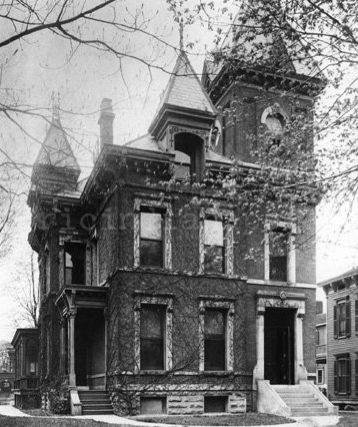 In 1877, Daniel Stewart and Martha Tarkington Stewart purchased the home, just before their two daughters graduated from Mount Vernon Seminary school in Washington, D. C.
In a common practice that still goes on today, Mrs. Stewart wanted to keep some of the furniture originally outfitting the house. Later in life, she still had six chairs and a table custom made in Grand Rapids, inlaid with marquetry she acquired with the purchase of the home. The Stewarts revised some of the original design of 530 North Delaware. They enlarged a bedroom and widened a side porch, which was later enclosed as a conservatory. Significant family events happened in this home: both daughters were married there. One became Mrs. Martha (William) Scott and the other became Mrs. Mary (John) Carey, who went on to found the Children’s Museum, among many other accomplishments. 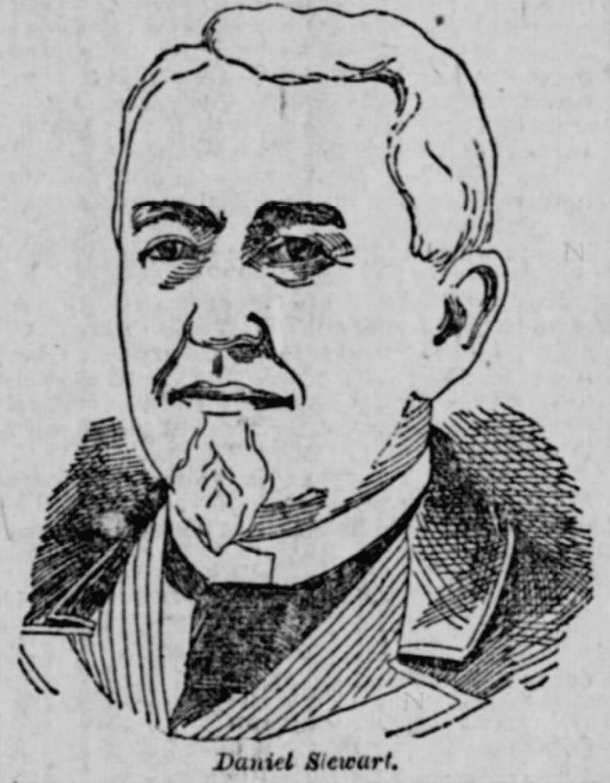 Daniel Stewart died in the home on February 25, 1892. Mrs. Stewart claimed that when the address numbers were changing (in 1898), it was she who selected the new address number of 1000, which it maintained through the rest of its years. Mrs. Stewart, and her daughter Martha and son-in-law William lived there for a time, but the house was sold around 1905 to William Sullivan, who in turn sold it to Samuel and Agga Reid in 1907. 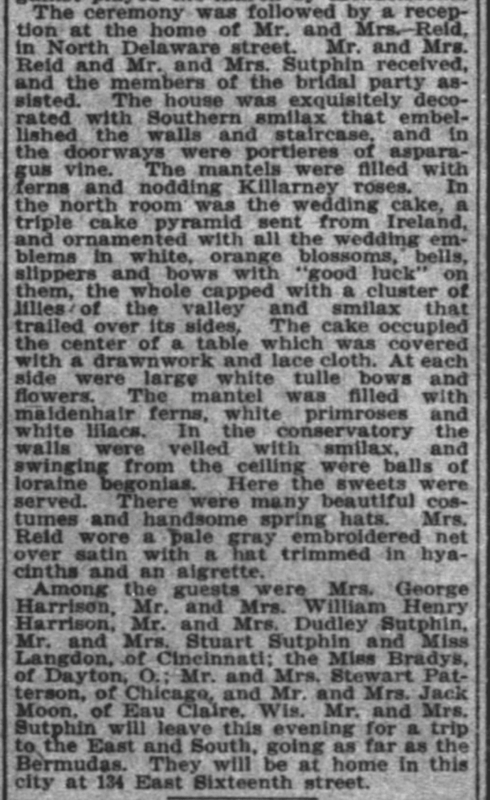 The big inaugural event for the Reid family was undoubtedly the wedding reception for their daughter Agatha Reid and son-in-law, Samuel Brady Sutphin on March 17, 1909. See the following elaborate description of the wedding reception for the Sutphins. 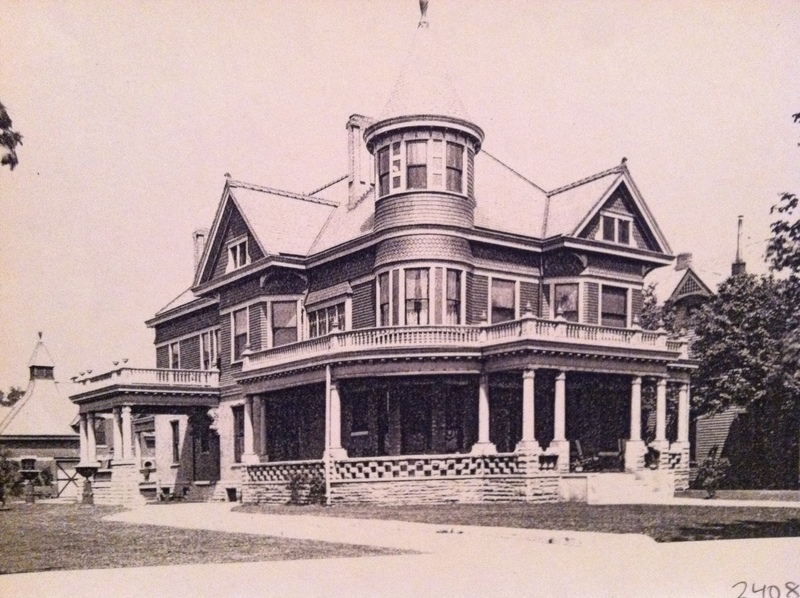 The image below was taken during the tenure of the Sutphin family, who moved into the parents/ in-laws house around 1916 and remained there until 1937. 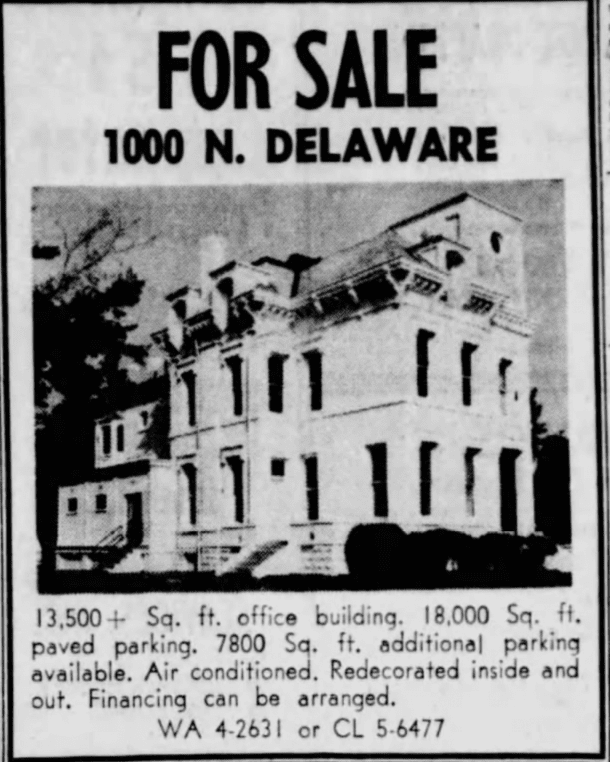 August 1938 ad to sell 1000 N. Delaware. 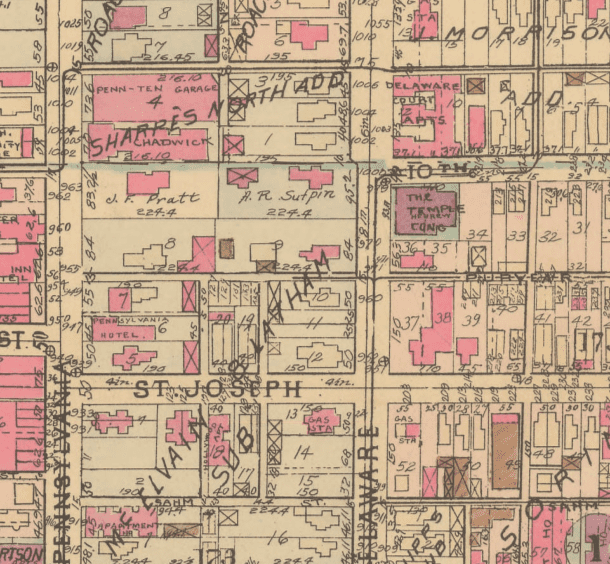 The 1941 Baist map shows a more densely packed Indianapolis. Note the Hebrew Congregation’s Temple across the street from the home. Hard to say who had the better view. In 1947, another ad appeared, with the property having apparently been carved into apartments. 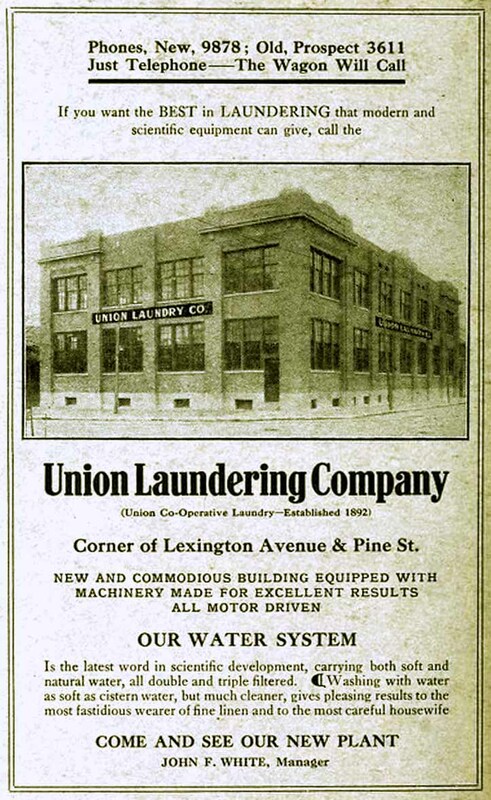 Similar ads appeared in 1948. For the rest of its years, the building had stretches of use as a commercial venue. 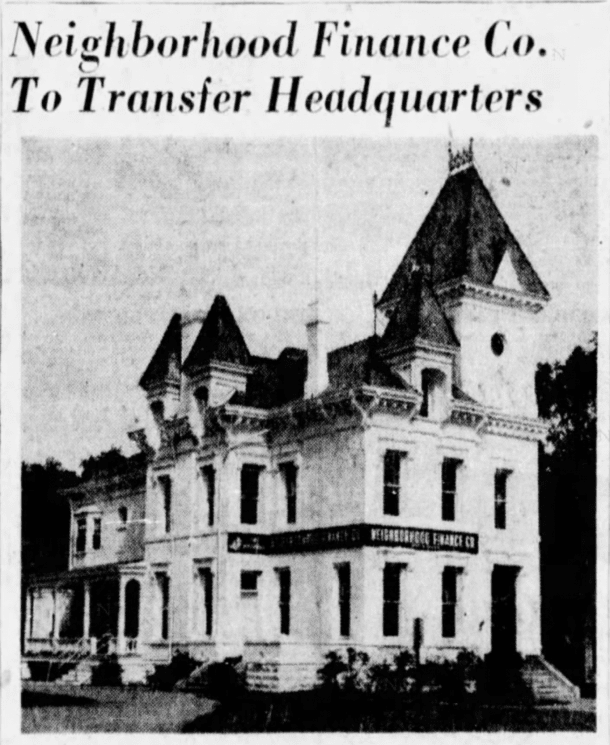 In 1951, W. Jim Neighborhood Finances used the property for use as offices. In 1956, Michael Bisesi planned to use it as a supper club, much like other nearby mansions and applied for an alcohol permit for Le Coq d’Or, the chosen name for the new venue. The synagogue across the street remonstrated, and instead of serving cocktails and reverie, it served the clientele of Universal Auto Insurance Association from about 1957-1963, when it was again put up for sale. The 1963 ad lead to its final longer term use. 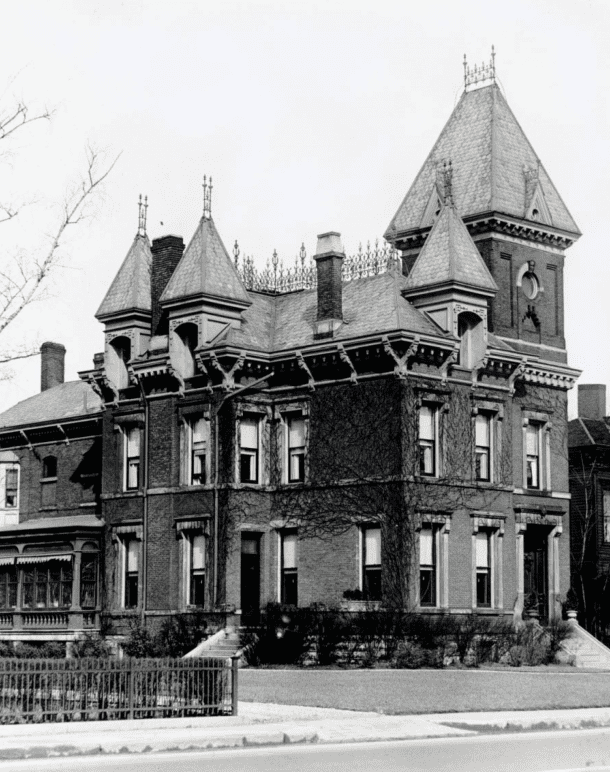 The building became home to the “Indiana Institute,” a school that trained medial and dental assistants and medical lab technicians. This use went on for just under ten years. The final couple of mentions include a robbery in the fall of 1973 at the address and in 1978, a small ad for one-bedroom apartments. Which may have never come to fruition. By that point, the former temple was gone–following a fire and demolition after a stint as Jim Jones’ headquarters. 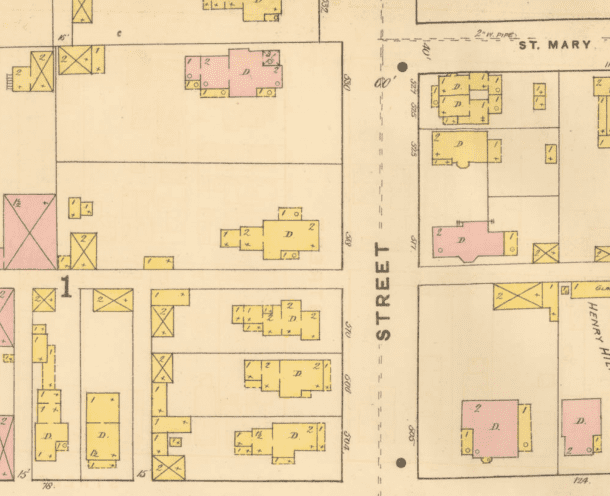 Without photos and fire insurance maps, no one would know about the beautiful mansion replaced with a street. 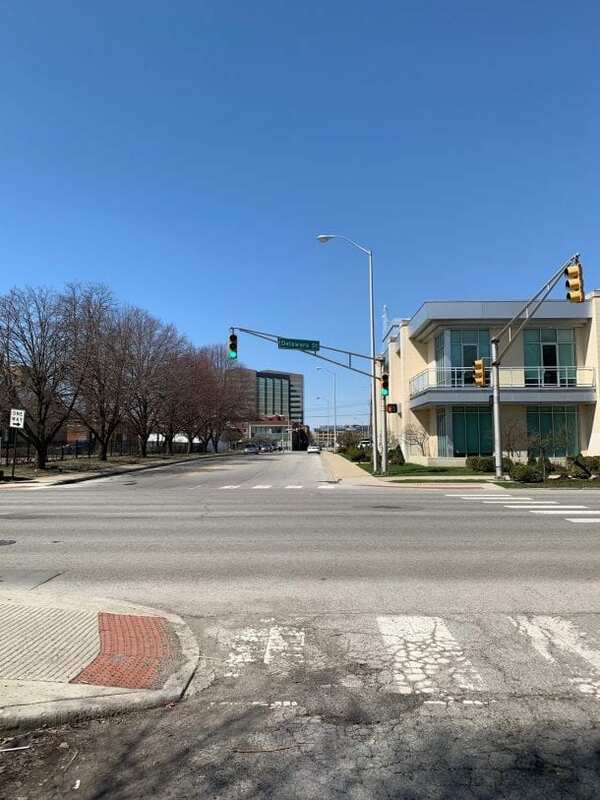 April 2019, looking west from the intersection of 10th and Delaware streets. 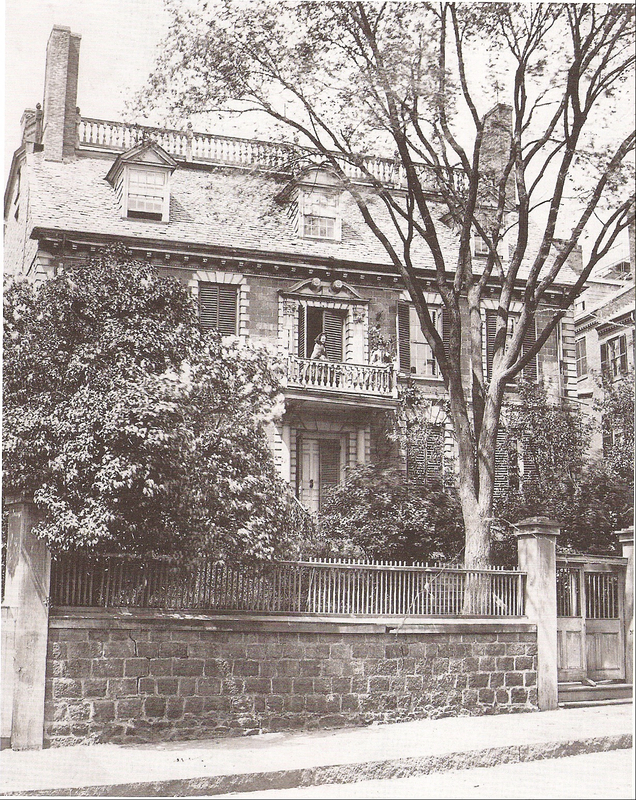 Enjoyed reading your article on the Stewart home at 1000 North Delaware! My Mother, Brother and I moved to 1601 North Delaware in 1955, I was 7 years old, that long ago I could walk to school, Saints Peter and Paul Cathedral, 14th and Pennsylvania! I have loved and wondered about all those homes for years. 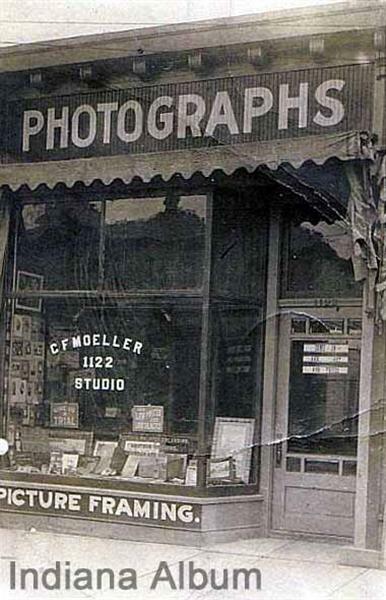 Do you have any history of homes in the area? 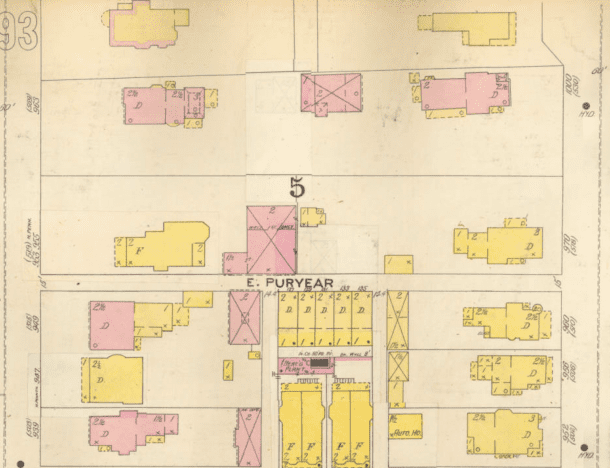 Search for Herron-Morton or Old Northside–there are quite a few articles of that area. You can also search on them map that appears on ihefront page of the website.